This statistic shows the distribution of respondents' answers regarding the state of Sunni-Shia relations compared to five years ago. 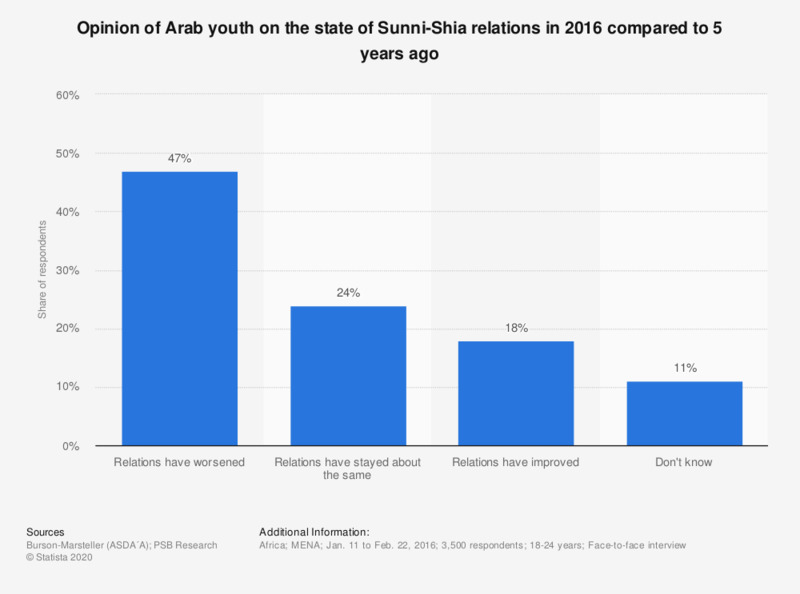 Forty-seven percent of Arab youth in 2016 say they believe that Sunni-Shia relations have worsened since five years ago. Do you have a favorable opinion of the United States?